The admission travel cards won Best of Show in the 31st annual Educational Advertising Awards contest. 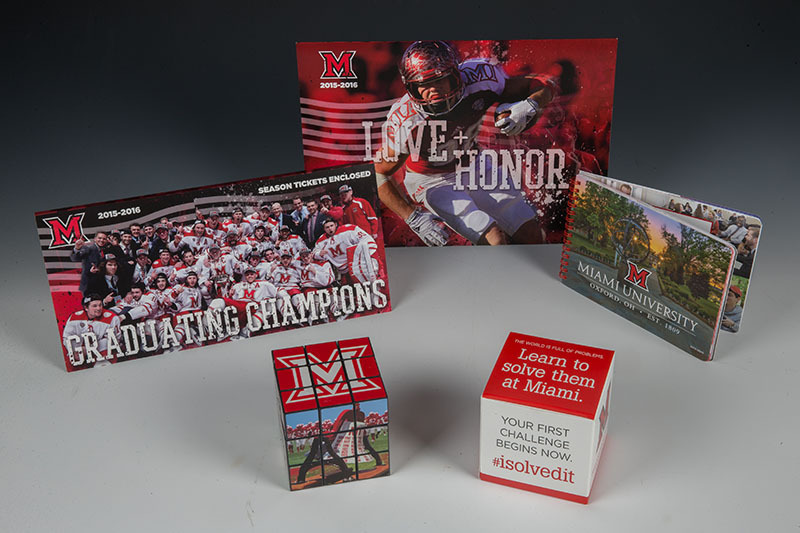 The creativity of Miami University’s communications and marketing team has garnered 10 awards in the 31st annual Educational Advertising Awards (Edu Ad Awards) contest. Miami’s awards include four gold, one silver and two bronze medals, two merit awards and a Best of Show recognition for various marketing and advertising materials. "We are most excited about how these wins demonstrate collaboration with several of our colleagues around campus: the committee for the Year of Creativity and Innovation, athletics and admission, in addition to the overall university wins for the Miami PSA television spot and the Miami Public Ivy website,” said Deedie Dowdle, associate vice president for university communications and marketing. This year more than 2,000 entries were received from more than 1,000 colleges, universities and secondary schools from all 50 states and several countries. The 33 categories of Edu Ad Awards include magazine ads, logo and letterhead design, newsletters and social media, among others. 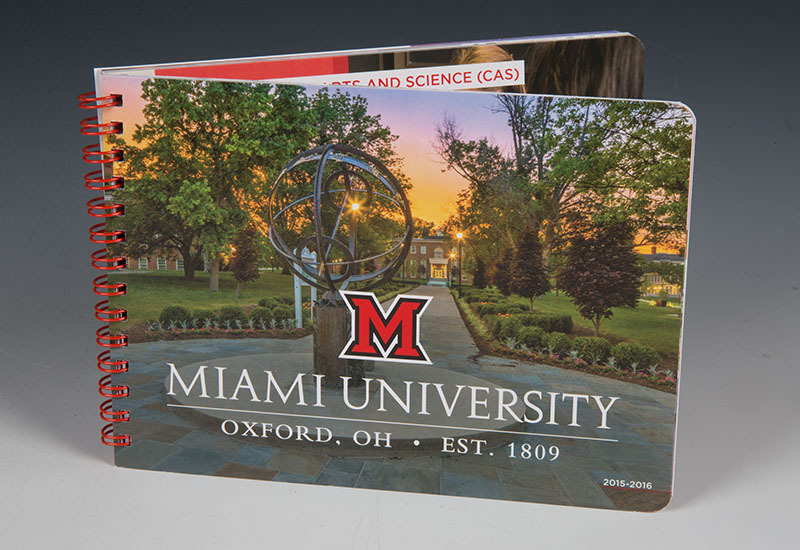 Only 15 entries receive Best of Show distinction: Miami’s admissions travel cards won a Best of Show award. Miami's awards include four gold, one silver and two bronze medals for various marketing and advertising materials. Edu Ad Awards is sponsored by the publishers of Higher Education Marketing Report.